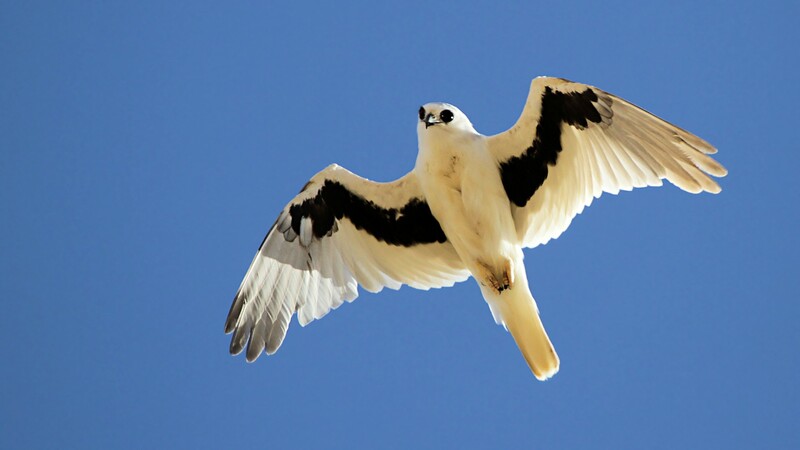 The tell-tale "W" marking of the Letter-winged Kite. 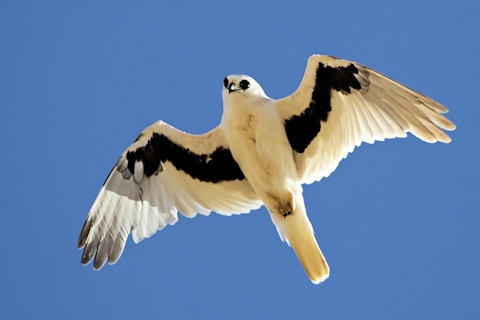 This is one of several Letter-winged Kites we saw flying over a large earth tank in the Diamantina area of western Queensland. Dispersed in large groups around the tank were several thousand Flock Pigeons. Perhaps the presence of the Flock Pigeons excited the Letter-winged Kites, normally nocturnal hunters, into day-time activity; or perhaps they were disturbed from their day-time roosts by the presence of yours truly.